All law students — from the loftiest master’s student to the lowliest fresher — have had to go through it. Your parents load the car with your worldly possessions. You drive for hours through the rolling British countryside to your new university. You retrieve your key, visit your accommodation, trudge back and forth, carrying everything to your room. Your parents bid you goodbye — and leave. This is it. Your first day as a law student. While other students have to meekly introduce themselves to their flatmates, you have an advantage. You are a law student. You are able to join your university’s law society. Law societies are typically the biggest and most prestigious organisations on campus. They co-ordinate careers events, help with study, arrange pro bono, teach mooting, write journals and even throw nights out. With the help of your university’s law soc, you can grab that highly-desired training contract or pupillage, achieve the grades you need, win mooting competitions, and enrich your university experience as a whole. Before coming to university, I had no idea how prominent law societies were. Now, a year on, I am a member of my law society’s executive committee. I am the careers officer of Warwick Law Society — the University of Warwick’s biggest society. Our members are ambitious, talented and commercially-aware future lawyers. I am going to explain how you can make the most of the opportunities your law society will provide. This goes without saying. Law soc events tend to be high quality. At Warwick, for example, our law society hosts icebreaker coffee sessions for incoming freshers — a valuable chance to meet all your course mates before term kicks off. Our academic and welfare events provide hints and tips for first year examinations. We also host grad recruitment teams from top City law firms for training contract application sessions. We put on a number of socials throughout the year and organise a careers dinner which is attended by practising lawyers. Attending these events will enliven your first-year university experience. 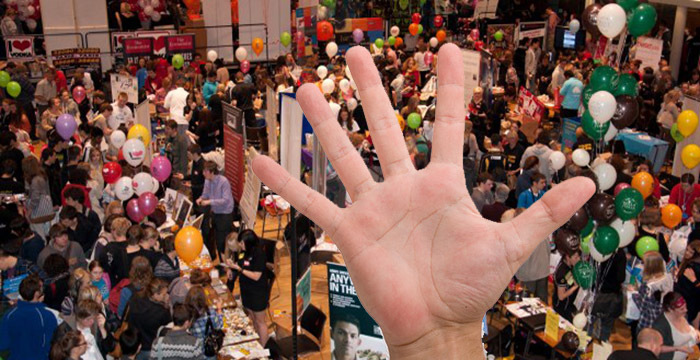 If attending events isn’t enough — make use of the other opportunities your law soc can offer. Get networking. Try mooting. Participate in commercial negotiations. Volunteer at pro bono clinics. Why not take part in trials for the law soc sports teams? As well as boosting your CV, these opportunities are great fun and a good way to meet new people. Before coming to university, I had never tried mooting nor taken part in a commercial negotiation competition — both of which are the bread and butter of a lawyer’s daily work. I learned a lot by taking part in these law society events and also thoroughly enjoyed myself. If the thought of public speaking frightens you — try mooting. If you are an agreeable, conciliatory person — try to negotiate a tough business deal. If you struggle with essays — practice writing articles for the law society journal. At least give it a go. Aspiring lawyers should relish the opportunity to improve their abilities. A good law society should never just be about studying or interview prep — it should be a social hub for its members. Most law socs have a dedicated member that will put on social events. Although the activities arranged have to be within the law soc’s budget, I promise they’re more fun than the cheeky play you have to make for an extra flute of champagne at a law firm networking event. Warwick Law Society is run by students, for students. Although you can only run for a position on the executive committee towards the end of your first year, many law societies recruit ‘first year representatives’ in the first term. These reps form a subcommittee, who are an extra pair of hands for the society when it comes to careers events and socials. As the year rolls around, there will be new elections for different positions. I was first year rep of my law soc and getting involved early put me in good stead when it came to writing my manifesto for a position in the committee. Embrace the valuable role your law society can play in helping you secure a training contract, boosting your CV and achieving high grades. James Smith is a second-year law student at the University of Warwick. He is the careers officer of Warwick Law Society. He has a particular interest in civil and commercial law with a view to becoming a barrister. The post 5 ways to get the most out of your university law society appeared first on Legal Cheek.